Stonewall Gazette: PHOTO: It's official. 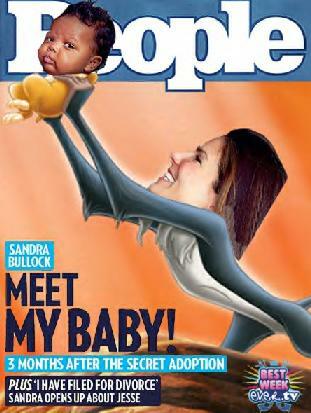 Bullock's entire life has jumped the shark! 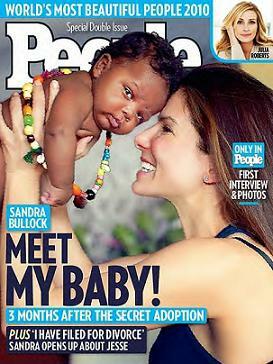 Sandra Bullock’s People Magazine Cover… Revealed! "Here is the cover for the groundbreaking new issue of People (which no doubt had to set publishers back hundreds of millions of dollars). It’s Sandra Bullock hoisting her brand new adopted baby Louis Bardo Bullock (amazing name!!) into the air, Lion King style."